This page will walk you through all of the definition, facts, and common terms associated with long-term care. Trying to navigate the various statistics and latest news can be difficult. Are you wondering who needs long-term care? Contact us if you have any questions as you read this breakdown. Protection of your assets. It costs a lot of money for care. Occupational therapists, physical therapists, speech therapists, nurses, etc., all need to be paid for. Full-time long-term care assistance can approach $6,000 – $10,000 per month, and possible more if medical care is required. There are many examples and types of long-term care. We can answer any questions you have about the total long term care insurance cost. BGA Insurance Group will provide you with the right quote for your situation. Where you want your care? Do you want your care at a facility or in the privacy of your home? If you need care for a long period and spend all of your assets, then at that point government assistance programs help with the cost of your care in a qualified nursing facility. Is that the best quality? Do you want your children assisting with your toileting, giving you a bath, or running your errands? Your children have jobs, their own responsibilities, and their own children to care for. 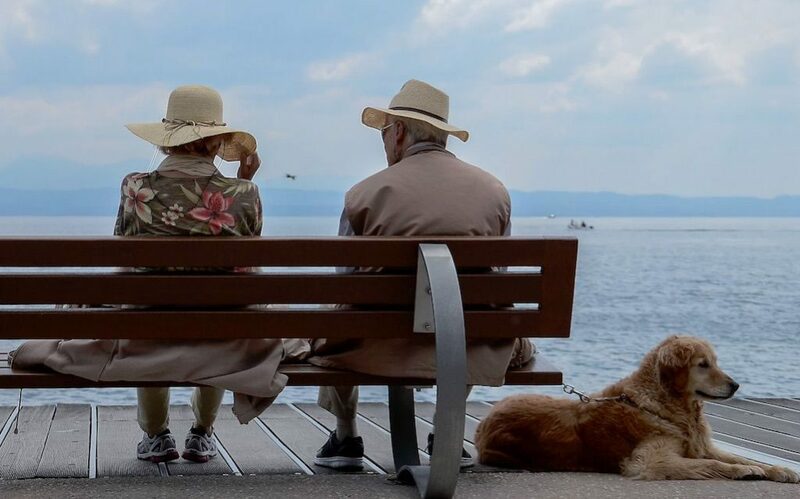 The pros of long-term care insurance are that it allows you to enjoy your independence, afford quality care, and reduces the financial and psychological stress and strain that a long-term care need causes for a family. You are eligible to receive policy benefits if you are chronically ill and a licensed healthcare practitioner prescribes and qualifies you for long term care. It comes down to needing help with two activities of daily living for at least 90 consecutive days. It includes dressing, eating, toileting, bathing transferring and continence. When purchasing long term care you will need to answer extensive health questions for underwriting purposes. The biggest concern of all is having enough money for everyday needs and not outliving their assets and income. How long do you want your coverage to protect you? Choose 24, 36, 48, or 60 months? The biggest concern of all is having enough money for your everyday needs and not outliving your assets and income. The monthly benefit is the amount of money you are to receive to help pay for the level of care you are receiving. Do you feel you need $3000 or $10,000 a month? A very important benefit to add to your policy is an inflation rider. Over time inflation does rise and the level of care you buy today will not buy the level of care you may need 15, 20, or 25 years later. Choose a lifetime 3 percent, 4 percent, or 5 percent compound rider and insure that you can access the quality care down the road you deserve. The amount of days before your policy starts paying benefits. Most policies have either 90, 180, or 365 days before your policy starts paying benefits. For example, if you choose 90 days your policy will start paying services once you reach the 90th day you have been ill and receiving covered services. It used to be that most Long-Term Care policies would be sold for the sole purpose of the patient being treated in a skilled nursing facility. Now benefits are provided so you can stay at home and receive your care. This helps pay for Adult Day Care services, paying for home health aides, help with the grocery shopping, meal preparation, cleaning the home etc. Most people would rather get their care at home surrounded by their loved ones, they are more comfortable, and they usually recover quicker. There may be a times when you need more care than can be provided at home. Most policies will cover your bed reservation for up to 30 days. There may be a time you need to leave the facility for medical reasons, the bed and room you are comfortable in will be reserved for your return. Finding care services can be very overwhelming for the patient and also the family members. Most plans come with the benefit of a licensed health care professional who will assist in helping you arrange for long term care services. Using the care coordinator can also make you eligible for additional benefits such as home modifications, durable medical, caregiver training etc. Hospice care is a specialized care created to provide support to you and your loved ones during an advanced illness. Hospice care focuses on comfort and quality of life, rather than a cure. If you are terminally ill and not expected to live beyond six months, most policies will pay for hospice care received in any setting. Most plans will waive your premiums while you are receiving benefits for home health care services, assisted living, or nursing home services for up to a certain amount of days. This way you don’t have to stress about paying your premiums while you are receiving care. These are just a few of the more important benefits to include in your long-term care planning when deciding what is right for you. Other benefits to consider are Respite Care, Return of Premium, Shared Care just to name a few. Call your BGA agent to discuss your future and assist you in choosing what is right for you. Some people can’t afford a long-term care plan, may be not healthy enough to pass long term care underwriting or may just want a shorter period of care plan. Regardless, short term care insurance can help you protect your financial future. Short term care will help for unexpected accidents or illnesses that require a short stay in a facility or in the privacy of your own home. Purchasing short term care insurance is a lot easier than buying long term care because of the fewer underwriting guidelines and questions about your health history. Just like long term care, you need to qualify by needing help with two activities of daily living. This period is the same as the policy limit on a long-term care plan but for a shorter period of time. Most short-term plans have a lifetime maximum benefit period option that may be either 120, 240 or 360 days. Some policies have the lifetime maximum benefit period and will be restored only once during the lifetime of the policy; however, in order for the lifetime maximum benefit period to be restored, the policy must be kept in force by the continued payment of policy premiums that become due. Unlike long-term care, short term care usually has a daily benefit amount that you choose to pay for your care in increments of $25 starting at $100 and up to $300. As with long term care, most short term care plans offer inflation protection as well. Check with the plans because the percentages usually vary in different amounts. Short term insurance also has elimination days to choose from. However, the elimination days are a shorter period time because the length of care is shorter. Most plans are anywhere for 0 days to 30 days. Short term care plans will not provide coverage for pre-existing conditions if the loss occurs or the confinement begins with the first 180 days after your policy is effective. Most policies will remain in force as long as your premiums are paid on time. Like any other health policy you purchase you also have a 30 day free look period. Other benefits that a Short-Term Care plan may include Adult Day Care, and Hospice Care. There are a couple of other ways you can even break down a post hospital care plan to fit your budget. Some insurance carriers also sell Nursing Home Care only or Home Health Care only plans. This means you have one choice as to where you receive your care but these types of plans are even less expensive than a Short-Term Care policy. There is no right way or wrong way when purchasing post hospital insurance, just long as you’re satisfied with the benefits you can afford. This is not a topic most seniors want to discuss with their children although you should, but at least discuss it with your BGA Insurance agent, it’s why we’re here. If you are wondering where to buy long-term care insurance, please contact us today at (855) 494-0097 or fill out the contact form on the side of this page.